The Buick Enclave is totally redesigned for 2018, with four trims offered, all of which are powered by a 302-horsepower 3.6L V6. 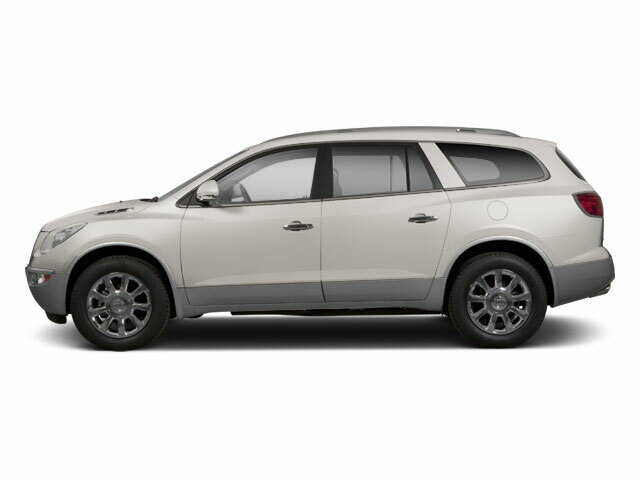 The Buick Enclave's styling expertly updates what was already an attractive mid-size SUV, with a more aggressive front end and just the right balance of flowing, swoopy lines and hard creases in the exterior sheetmetal. The outgoing model offered optional seating for seven; this one offers that configuration as standard, all while shaving about 350 pounds off the curb weight, thanks to the use of high-strength steel. The Enclave SUV is offered in four trims: base, Essence, Premium and Avenir. All are powered by a 302-horsepower 3.6L V6, which is mated to a 9-speed automatic transmission. Front-wheel drive is standard, and all but the base trim are available with all-wheel drive. Standard exterior features include 18-inch painted alloy wheels, roof rails, heated power-adjustable mirrors with integrated turn signals, automatic LED headlights and a hands-free power programmable liftgate. Inside, the amenities include the Buick infotainment system, presented on an 8-inch color touchscreen, with Bluetooth, Apple CarPlay and Android Auto, USB ports and an auxiliary jack for connecting portable media devices. 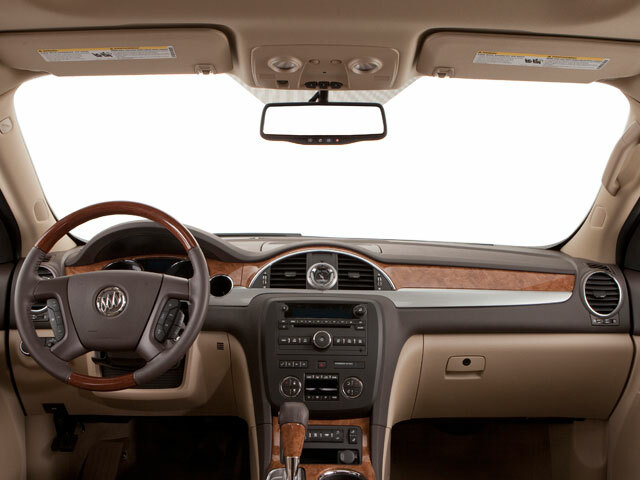 Whisper-quiet Active noise cancellation helps reduce unwanted road noises, assisted by Buick's QuietTuning, which incorporates triple door seals, acoustic-laminated glass, and more. The front bucket seats are heated, with 8-way power-adjustability for the driver and 6-way power for the passenger. Second-row seats are 40/40 captain's chairs, while the third row is a 60/40 split bench. The tilt/telescopic leather-wrapped steering wheel contains cruise control and audio and Bluetooth controls, while tri-zone climate control keeps occupants comfortable no matter where they're sitting. The Enclave Essence adds perforated leather seats, lane change alert with side blind-spot alert, rear cross-traffic alert, and a 3-month trial of SiriusXM satellite radio. The Premium trim, meanwhile, includes a Bose 10-speaker audio system, ventilated front seats, second-row heated seats, and a heated steering wheel. Finally, the Avenir trim comes with special exterior and interior styling, including ebony and chestnut inlays, navigation, wireless device charging and dual power sunroofs with a rear fixed skylight. 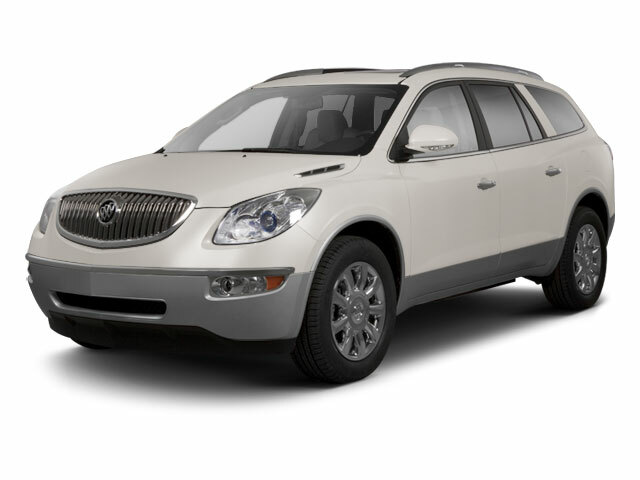 Notable options packages for the Enclave include the Experience Buick Package, available on the Essence trim, which features a dual power sunroof with rear skylight, 20-inch wheels, a 5,000-pound trailering set-up and heavy-duty cooling system. The Avenir Technology Package brings a premium suspension with real-time damping, plus adaptive cruise control. 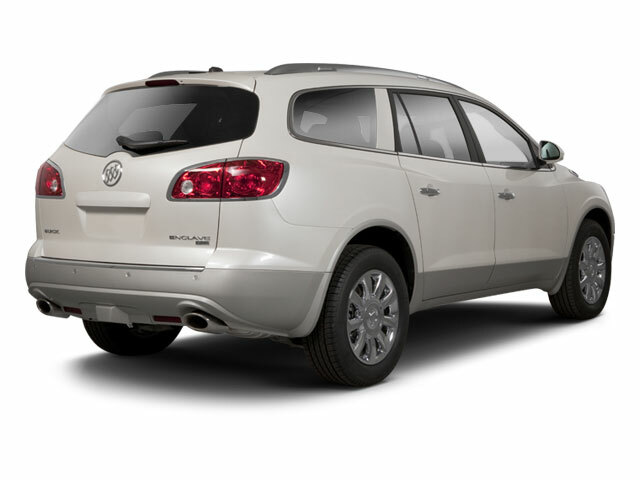 The Buick Enclave luxury SUV is handsomely packaged, with impressive interior volume that offers plenty of room for seven passengers. Despite its mid-size SUV proportions, it offers a real alternative to larger SUVs. As with all Buicks on the road today, the Enclave offers luxurious interior amenities and it gives models from Lexus, Acura and Infiniti a serious run for the money. With a state-of-the-art infotainment system and plenty of soft-touch, high-quality interior materials, the Buick Enclave punches well above its weight.